The Perfect King: The Life of Edward III, Father of the English Nation by Ian Mortimer. Whenever you pick up one of Ian Mortimer’s non-fiction books, you know you’re guaranteed to be taken a meaningful and relevant journey through a period of British history, all while being engaged, educated and thoroughly entertained. The Perfect King, which tells the story of Edward III from boyhood to death, is no exception. 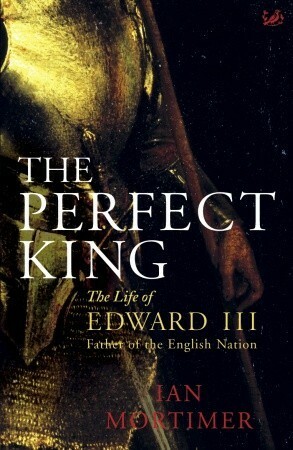 I confess to not knowing much about Edward before reading this book, my knowledge extending mainly to his famous son, John of Gaunt, grandchildren, the future kings, Richard II and Henry IV, and his much-maligned mistress, Alice Perrers. The story of Edward’s reign is complex, fascinating, filled with deception (the story about his father’s deposition, supposed death and the cover-up around that is amazing), wars (the period known as the Hundred Years War began at this time), loyalty, chivalry, loss, tragedy, luck, misfortune, death, plague, and contradictions – but this is what makes this time and the man at its heart so damn interesting. Edward may have started life in the shadow of his father and then as a pawn in someone else’s political machinations and ambitions, but once he overthrows them he quickly establishes himself as a king of which England could be proud. Not only was Edward responsible for changing parliamentary representation and giving the common people a genuine voice, he also ensured that by ordering ordinary men to train to shoot with the longbow, they not only became formidable fighters, but were held in an esteem previously reserved for knights. Suddenly, the peasants were also the fighters too giving them a certain status as well as propelling them into danger. Edward also undertook, after winning war after war in France and Scotland, a remarkable building program and sponsored and fostered the arts in a manner never seen before. He also, despite some later historians decrying the fact some of his peace negotiations failed or his many battles came with a great loss of life and cruelty, ensured no major battles were ever fought on English soil. In that way, he always kept England (though not necessarily his soldiers) safe. Further, he also heralded the change from French as the major spoken language to English – not just on the streets, but by the nobles and in parliament and through the passing of legislation (it was spoken in English and written in Latin). He was also responsible for establishing the Order of the Garter, which was emulated throughout the continent with varying degrees of success. A multifaceted man, he had contradictory traits and flaws, but this is what made him potentially a good leader of men too – in that, he understood what made people tick. Feared, admired, loved and loathed at the height of his reign, it’s indicative of the era, that once he passed his fiftieth year and thus was unable to be at the forefront of his beloved jousts or lead battles like he used to, he went into a slow decline in the public’s eye and, years later, in reality. When many of his beloved children died, then his closest friends and advisors and finally his wife, he retreated into the comfort of another woman’s arms, a woman to whom history has been mostly unkind, but who Mortimer chooses not to judge too harshly but, to his credit, understand. 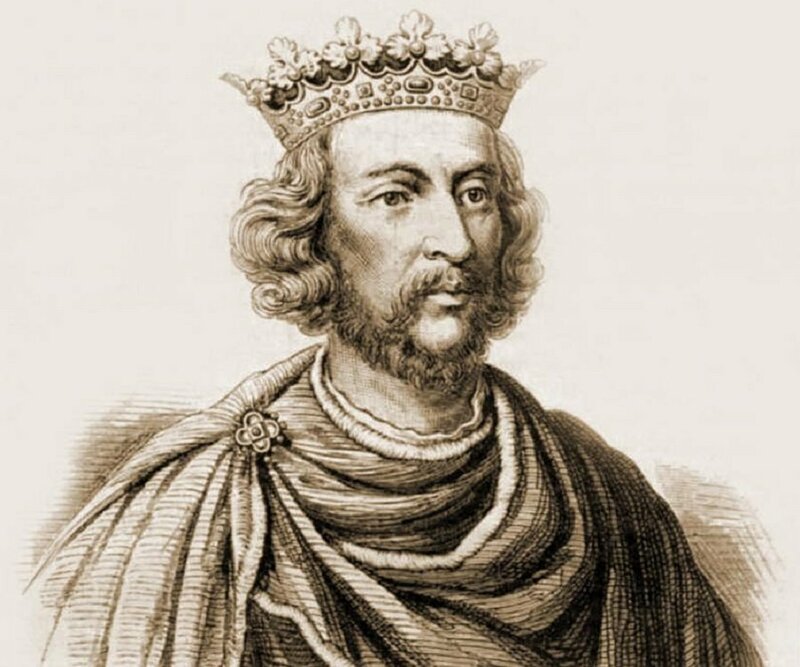 Edward may have died with only a priest by his side, but in the aftermath of his death and the reign of his grandson, Richard II, he was remembered in almost legendary and deified terms – as a noble, courageous and wise man whose counterpart had not been seen for centuries except in the legends he so loved and which, it’s touted, likely inspired many of his actions and decisions: the tales of King Arthur and his knights. This is an excellent book that draws you into the period and Edward’s life and reign in an uncompromising but always thoughtful way – a way always supported by facts but also intelligent supposition where necessary. A terrific book for anyone interested in English history and one of the not so perfect, but very human, rulers.